Rex Rajkumar Singh, an 18-year-old cricketer from Manipur, achieved a remarkable feat on Tuesday, taking all 10 wickets to fall in an inning during aCooch Behar Trophy match against Arunachal Pradesh. The left-arm medium pacer came up with a dream spell which saw him register figures of 10/11 in the four-day under-19 cricket tournament. 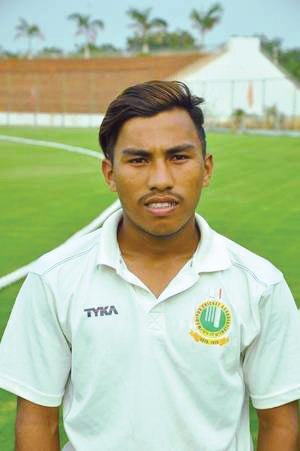 Rex Rajkumar Singh's devastating bowling helped Manipur beat Arunachal Pradesh by 10 wickets in the Cooch Behar Trophy match at the Rural Development Trust Stadium in Anantapur. The youngster, born in Manipur's capital Imphal, bowled a total of 9.5 overs in Arunachal Pradesh's second innings, out of which six were maiden overs. According to icc-cricket.com, he bowled five batsmen, two of his wickets were lbw, two caught behind and one caught by another player. He found himself on a hat-trick thrice.